Sean Connery, during the filming of the James Bond film "Never Say Never Again," was taking martial arts lessons and in the process pissed off the instructor who in turn broke Connery's wrist. That instructor was Steven Seagal. 2. Martial artist Yuki Nakai beat 2 fighters, twice his size, in a tournament after an illegal eye gouge left him blind in one eye. He developed complete blindness in one eye, yet kept it secret for years in order to protect the reputation of martial arts. 3. Teddy Roosevelt was an avid boxer and became the first American ever to receive a brown belt in Judo. 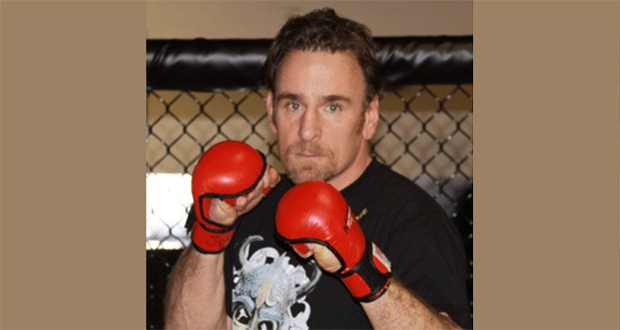 He lined the White House basement with training mats and sparred with anyone that was willing including boxing champion John Sullivan, his wife, and a Swiss minister. 4. A big group of women in the Ukraine have formed a modern amazon tribe called Asgarda. Their goal is to have complete autonomy from men, they train in different martial arts and sciences, and live in the Carpathian Mountains. 5. Elvis Presley once handed Alice Cooper one of his guns and asked him to point it at him to show off his karate skills. Cooper later said that he genuinely wanted to pull the trigger to do something legendary with his life, but Elvis knocked the gun out of his hand and pinned him before he could fire. MMA (Mixed Martial Arts) was an event at the ancient Olympics. 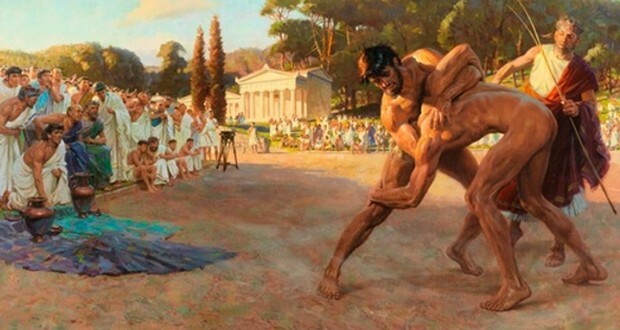 It was called Pankration and is the only event that hasn't been reinstated with the creation of the modern Olympics. 7. There is a growing consensus that bare-knuckle boxing is safer than gloved boxing. This is because the bones in the hand are considerably weaker than those in the skull, meaning the bare-knuckle fighter can't punch with full force to the head. 8. During the making of "Rocky", Sylvester Stallone asked Earnie Shavers (widely regarded as the hardest puncher in boxing) to punch him for real. After 1 punch, Stallone vomited. 9. Sumo wrestlers of the lowest ranks must always wear wooden sandals in public. The clacking sound of their footsteps is a reminder to improve their skills. 10. Karate belts go from lighter to darker colors as you rank up since Japan was poor during World War 2, and dying the belts were cheaper than getting new ones. A fire fighter named John Giuffrida who was receiving $75,000 a year disability pension was caught competing in brutal kickboxing competitions. 12. Bob Barker is a black belt in karate and was trained by Chuck Norris and his brother Aaron. He volunteered to fight Adam Sandler in their scene together in Happy Gilmore. 13. Jason David Frank (green power ranger) is actually a 7th degree black belt, a pro MMA fighter, developed his own style of karate, & held the world record for most pine boards broken in free fall. 14. Rope-a-dope is a boxing technique where you allow your opponent to punch you heavily against the ropes, tiring them out. The ropes absorb most of the impact of the punches. 15. Kublai Khan's niece Khutulun insisted that any man who wished to marry her must defeat her in wrestling and forfeit horses to her if they lost. She gained 10,000 horses defeating prospective suitors. As a child, Muhammad Ali was refused an autograph by his boxing idol, Sugar Ray Robinson. When Ali became a prizefighter, he vowed never to deny an autograph request, which he honored throughout his career. 17. On April 6, 1893, Andy Bowen and Jack Burke were involved in the longest boxing fight in history. The fight lasted 111 rounds (3-minute rounds each), it took 7 hours and 19 minutes until referee John Duffy called "no contest" after both men were too dazed and tired to come out of their corners. 18. Liam Neeson was an Irish amateur boxing champion, a forklift driver for Guinness and dropped out of a degree in computer Science all before the age of 25. 19. In an incident that Picasso recalled fondly, two of his mistresses once encountered each other at the artist’s studio. They demanded that he choose between them, but the artist refused, stating that they should fight it out, which led to their wrestling on the floor. 20. John Cusack has trained in kickboxing for over 20 years and is a sixth-degree black belt. 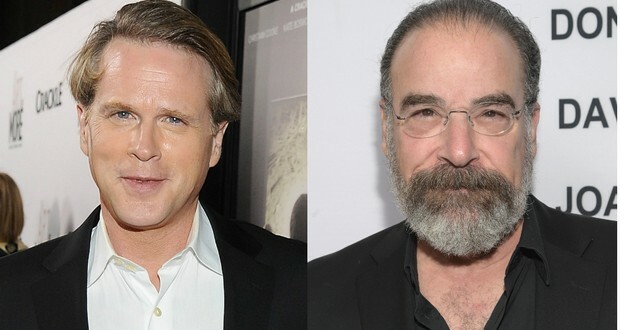 Cary Elwes and Mandy Patinkin learned to fence both left-and right-handed and performed all of the fencings in the sword fight scene for The Princess Bride. 22. George Foreman has made more money selling his grills than for his boxing career in which he was a 2-time heavyweight champion. 23. Filipino Martial Arts are considered the most advanced practical modern blade system in the world and are used by the U.S. Army, the Spetsnaz, and various branches of India's military. 24. Julie D’Aubigny was a 17th-century bisexual French opera singer and fencing master who fought and won at least ten life-or-death duels, performed nightly shows on the biggest opera stage in the world and once took the Holy Orders just so she could sneak into a convent and shag a nun. 25. Steven Seagal was given Serbian citizenship after starting a martial arts school in Belgrade and giving Aikido lessons to Serbian Special Forces.